Flying, Floating and Handstanding: Learning to fly and float with Bryan Miller as he guides you though the foundation of the Ashtanga Vinyasa. The Power of Backbends – Brian will explore the foundations of backbends showing you how to move safely deeper and more comfortably into your back bending practice. Brian will guide you through a practice modeled after the Ashtanga Nadi Shodhana intermediate / second series system. 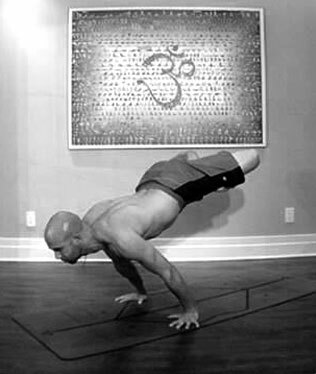 Making the impossible easy; Arm balances and handstands in this workshop Brian will breakdown several of your favorite, most challenging arm balances. He will help you discover the opening and body awareness needed to enter into the full pose, giving you tips on how to master them. Master class; time to put everything in action ! This fun, powerful class will tie together the techniques we learned throughout the whole weekend. Be prepared to work hard, sweat, laugh and play.